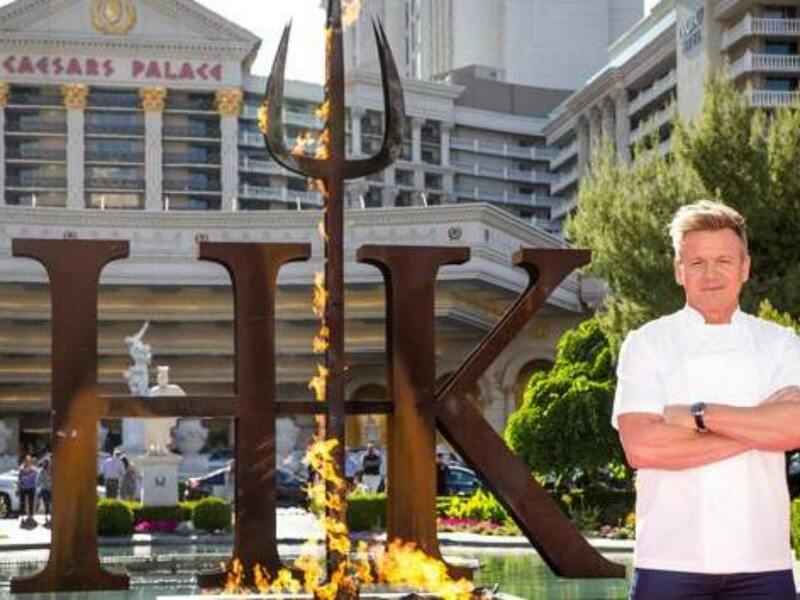 Gordon Ramsay continues to conquer Sin City with the opening of Hell’s Kitchen, his fifth restaurant on the Las Vegas strip. Situated in front of the famed Caesars Palace hotel, Hell’s Kitchen takes inspiration from Ramsay’s popular TV show of the same name­—including the kitchen staff’s red and blue uniforms—allowing guests to feel as though they are on the studio set. The space spans 8,000-square-feet and can seat more than 300 guests including two chef’s tables, a private dining room, and a contemporary bar. Diners will also be treated to stunning views throughout their meals thanks to the floor-to-ceiling windows that overlook the famous Las Vegas Strip. Inside, the Red and Blue kitchens will be serving up lunch and dinner menus, which will include Hell’s Kitchen signature dishes such as the Hell’s Kitchen burger, eggs in purgatory, and lemon poppy seed pancakes.